Kodanda Archery Range: Bring Out Your Inner Legolas Greenleaf! Being a self-confessed geek, you shouldn't be surprised to hear that becoming an archer has always been one of my hidden desires. I longed to own a bow and arrow and flit (yes, flit) from place to place ala Legolas Greenleaf. 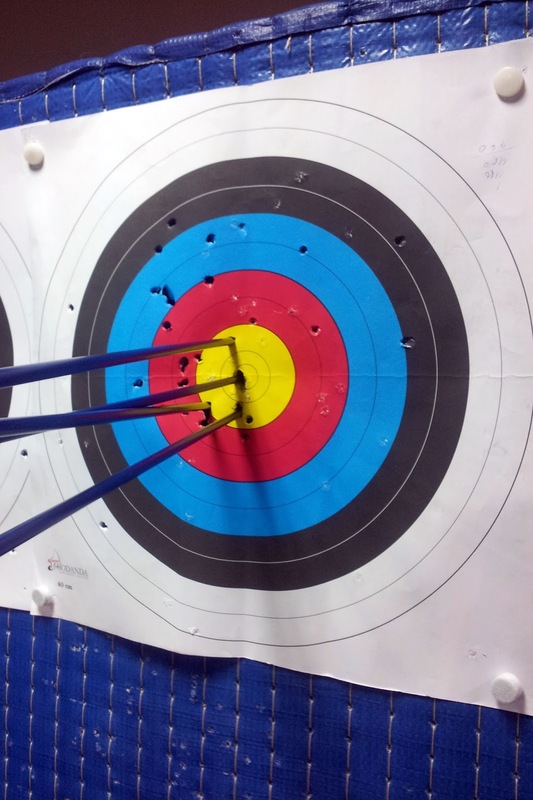 So, when I read about Kodanda Archery Range on Ava's blog, I practically jumped out of my seat and decided to try it out with my blogkada, as well. Once you get to Kodanda Archery Range, the first thing that you will have to do is get suited up. As mentioned before, the friendly and helpful Kodanda Archery Range team will do this for you. You literally just have to stand there, stretch out your arms and turn around. After that, the Kodanda Archery Range team will introduce you to the equipment. While I was sort of imagining a simpler and lighter bow ...maybe made with tree bark, twigs and vines? (A girl can dream, right? :p), we were instead introduced to these semi-heavy bows. They didn't make the experience less awesome, though - that's for sure! After being briefed on how to lift the bow, pull the string, release the string and get the arrows afterwards... it was game time! ...Except I panicked and refused to let go of the string on my first try. Hahaha. I sort of had this image of me hitting my other arm and me sprawled in the middle of Kodanda Archery Range if I let go. That didn't happen, of course. I kept forgetting to twist my left arm, so the string hit that arm at least four times... I ended up with a massive bruise the following day, but it was so worth it! I also kept forgetting to just pull the string with three fingers instead of four. And I always take too long to aim, in general. Nothing that a few more visits to Kodanda Archery Range won't fix! ;) Yes, I'm optimistic about this! I will become an Elf! I will become an Elf! At Php500 an hour, it is definitely worth the experience in itself. Plus, if you go on weekdays, you can practically have the whole place to yourself. On weekends, you will have to make reservations, though. So... who wants to go with me and try it out?